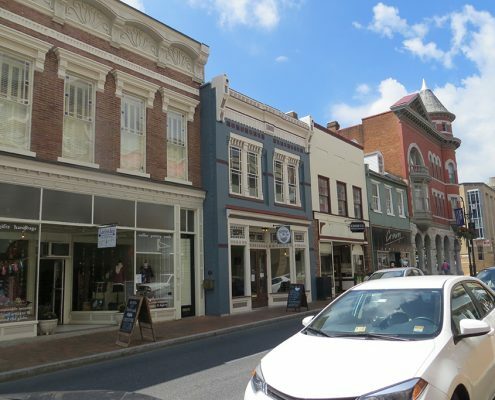 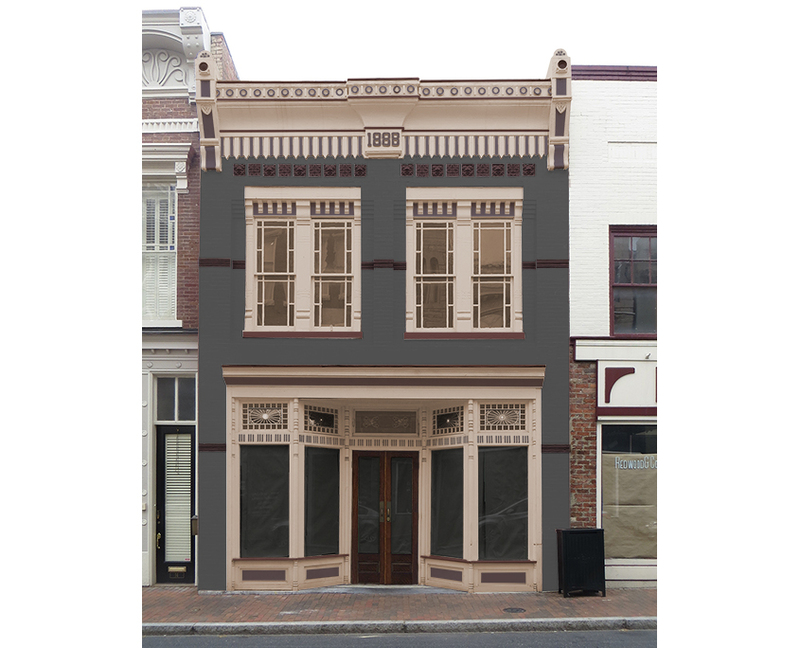 This façade on Staunton’s main street was originally restored in 1981 with drawings prepared when Kathy Frazier worked at Historic Staunton Foundation. 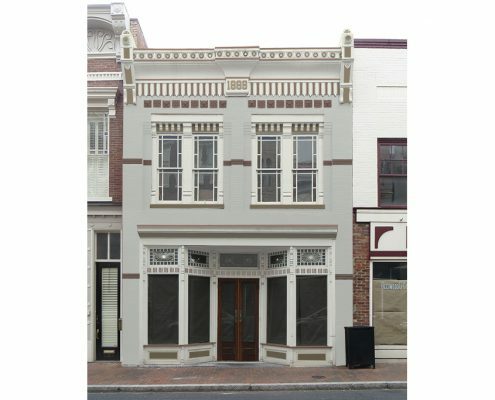 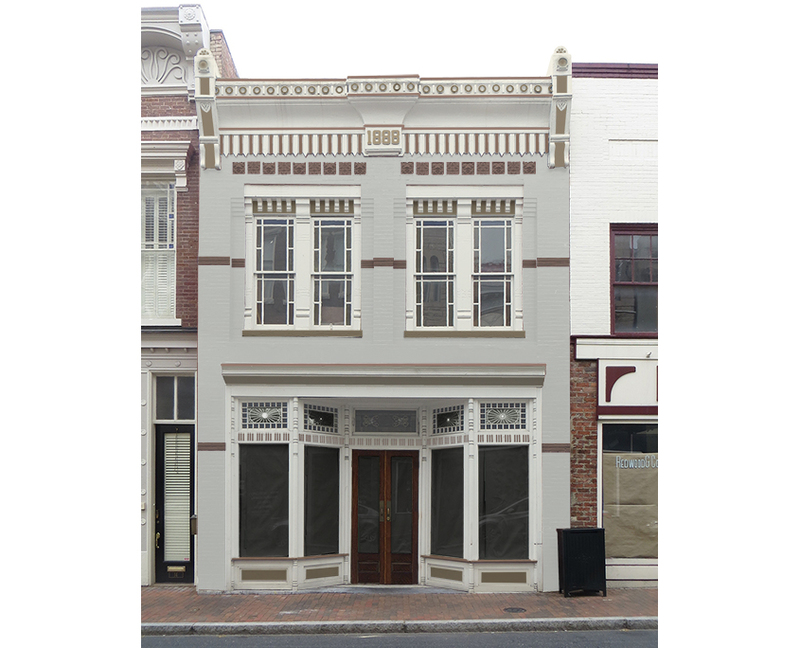 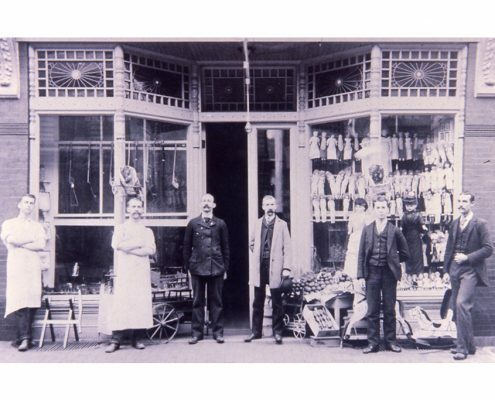 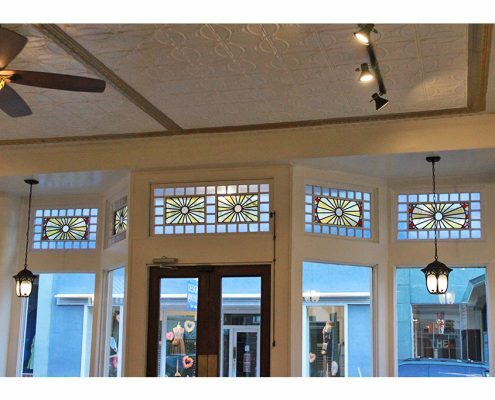 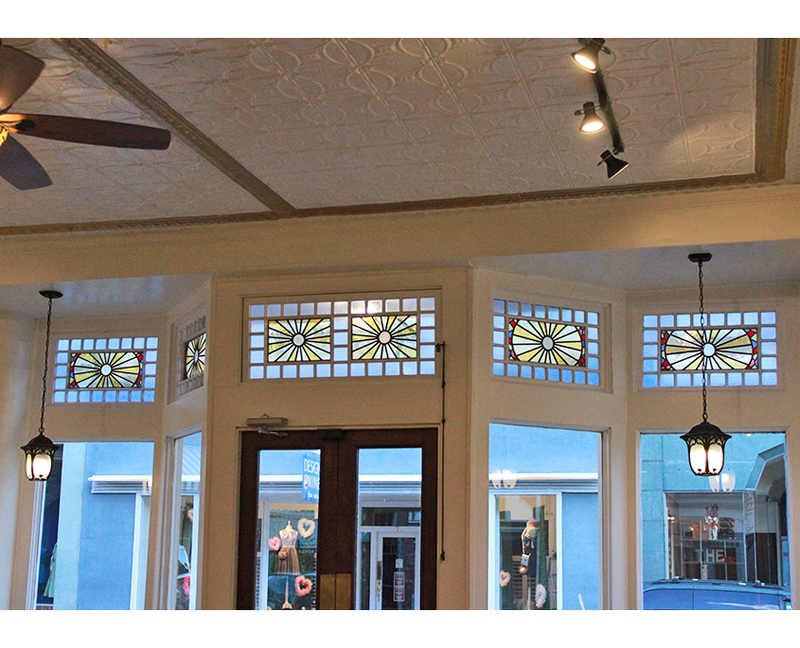 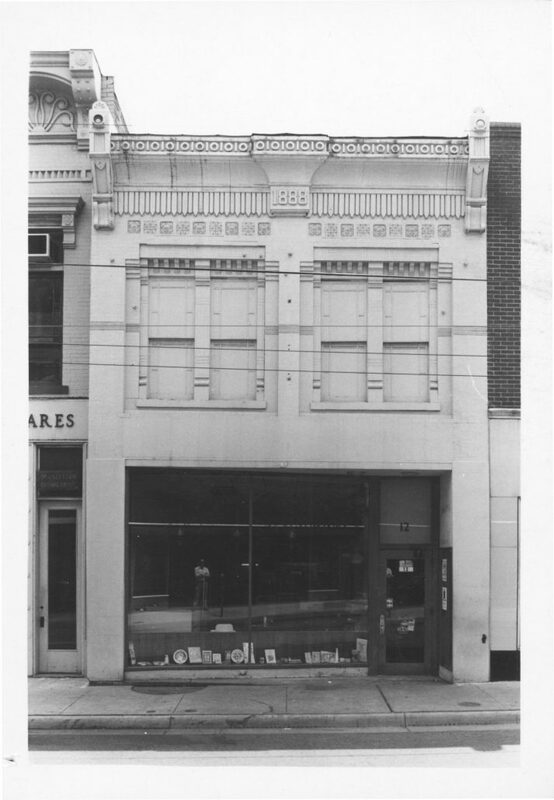 Using historic photographs of the building, a replica of the storefront was built and installed, painted-over windows were reopened, and the building was repainted to enhance its architectural details. 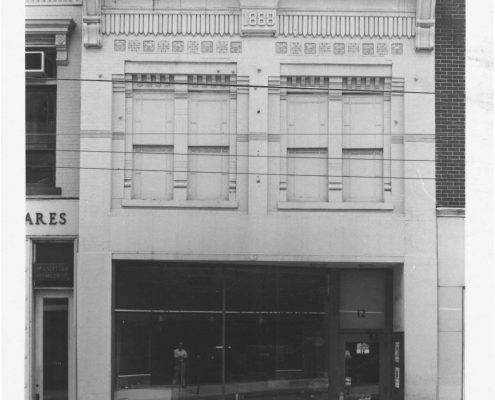 At the time, the impressive transformation of the façade was a great incentive to other downtown property owners, encouraging additional improvements in the downtown and helping foster an overall preservation ethic in the community. 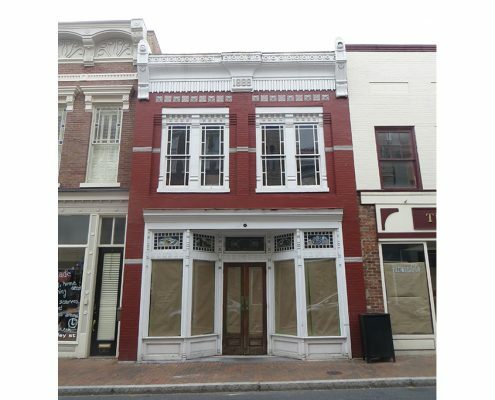 Fast forward to 2016 when the long-time business had closed, and the building was sold to a new owner. 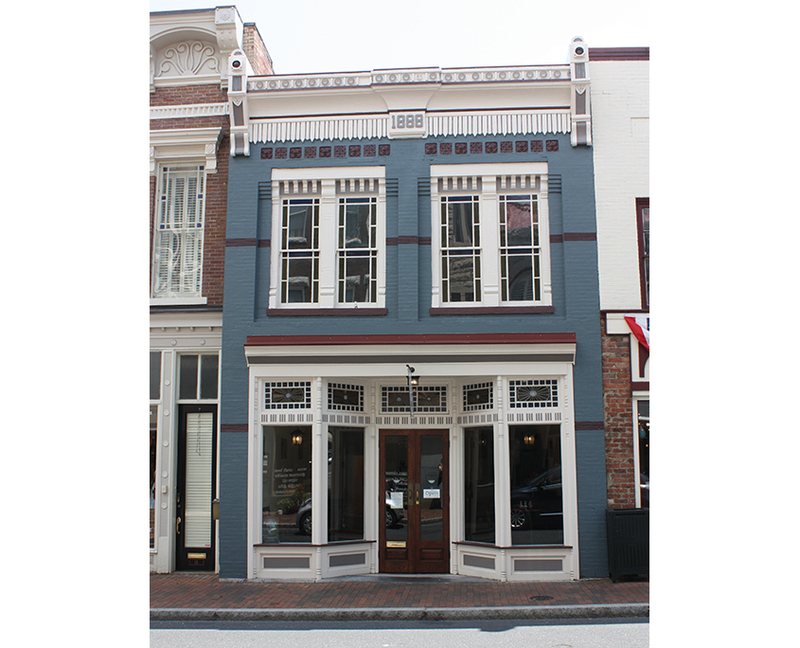 Working through the Virginia Main Street program and design services provided by Frazier Associates, the façade was updated with window transoms made to match the historic pattern and a new paint scheme. 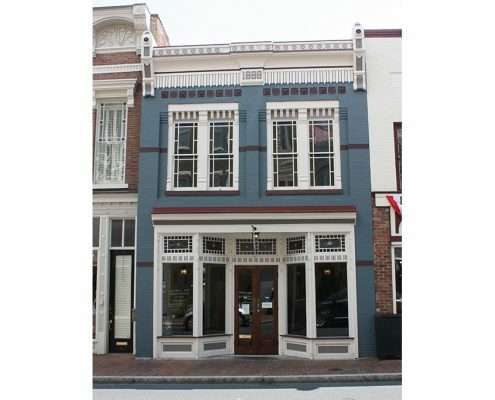 Once again the building demonstrates how façade improvements can enhance the character of downtown and provide a fresh new image for the business! 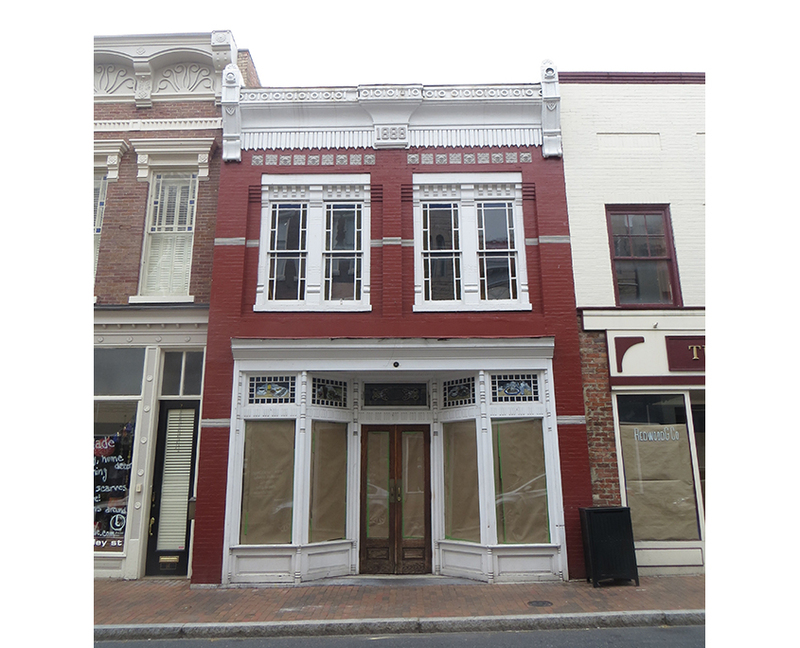 Existing Facade prior to rehabilitation in 2016..